Concrete designer and interior craftsman Daniel Wanat is the owner of ‘Living Concrete’, a company specialising in decorative concrete design. They have some stunning work on their portfolio and the quality really stands out. A few weeks ago I was contacted by Daniel who just wanted to reach out and say hi. A thoroughly nice chap he explained about what he did and how he liked both my work and my blog which needless to say was quite flattering. A few weeks later Daniel messaged me to say that they had done a review of many interior design blogs that focus on concrete and that I had made spot 5 out of 50. The list is a great resource of relevant design blogs so it’s worth checking out along with some of Daniel and Living Concrete’s products. Below are just a few pictures from Living Concrete for you to have a look at. they do a variety of stuff as you can see from tables to tiles. 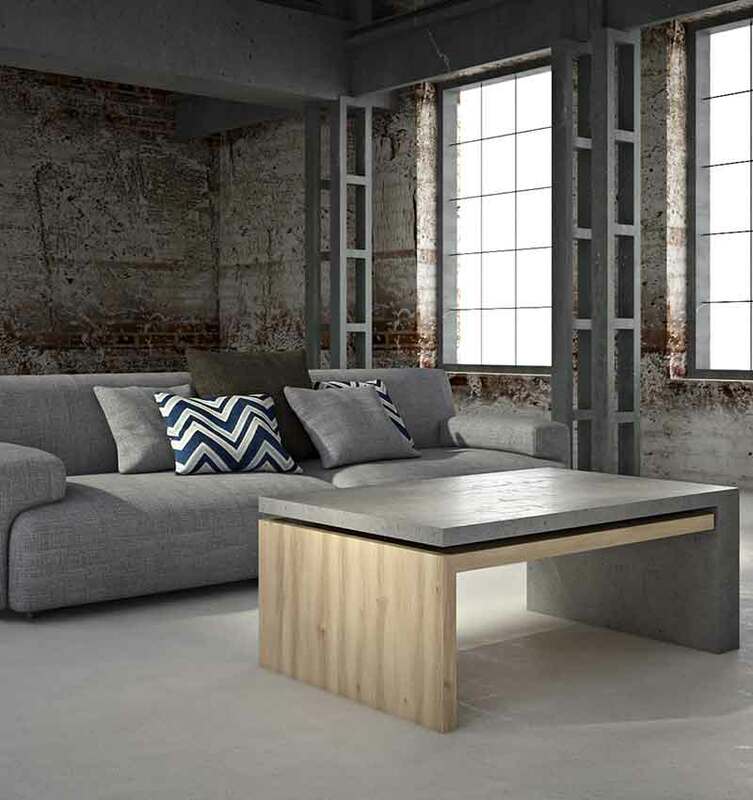 This coffee table mixes wood and concrete to make an attractive and stylish feature. The coldness of the concrete is offset by the warmth of the wood which is something I have wanted to play with in some of my own work. It’s a great simple design that makes a statement. We have seen concrete become more prevalent in many areas of design as people become more accepting of it and concrete lamps is definitely where it’s at right now. 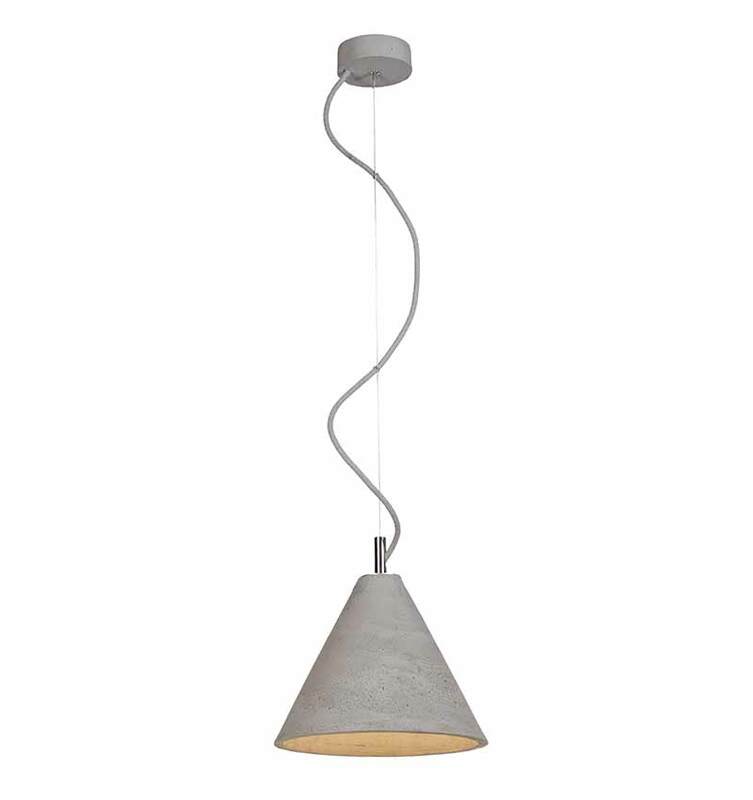 Of all the products on offer from Living Concrete the lamps section has the most choice and the prices are quite reasonable. 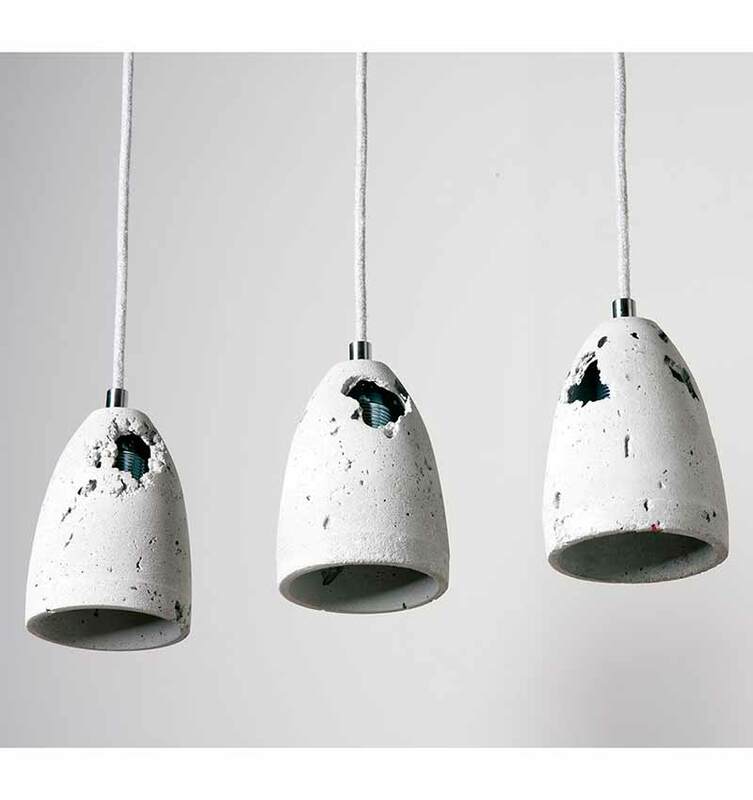 Installing a concrete lamp is a great and simple way to get some concrete style into you home. 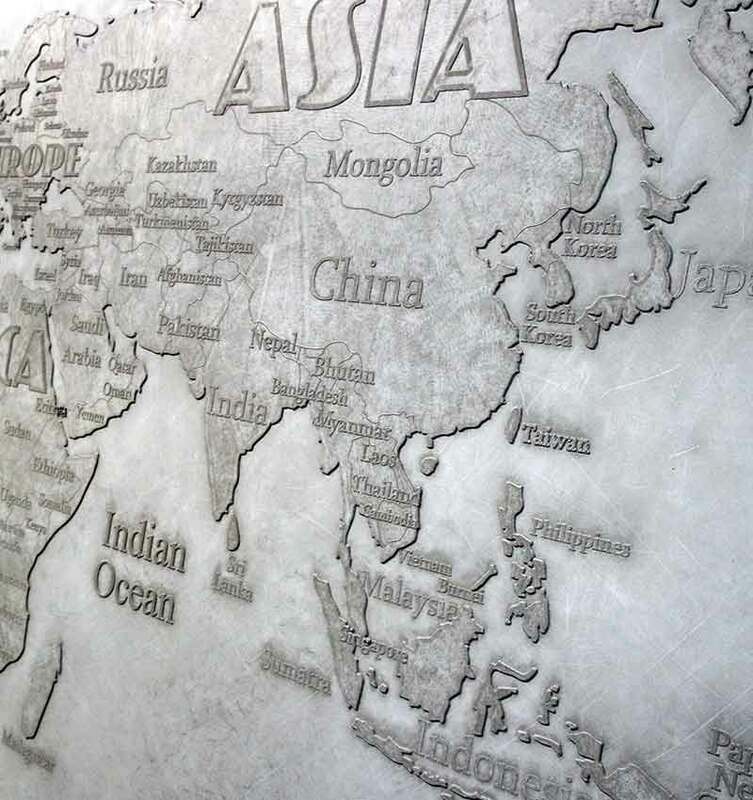 On a different budget is this awesome wall art of a concrete map. You can see this being a key location feature in an office block. The raised land masses make this world map tactile as well as beautiful and the lack of air bubbles shows the skill that living concrete have in being able to control the finish of your product. Concrete seating is something that looks great but can be hard to get right. 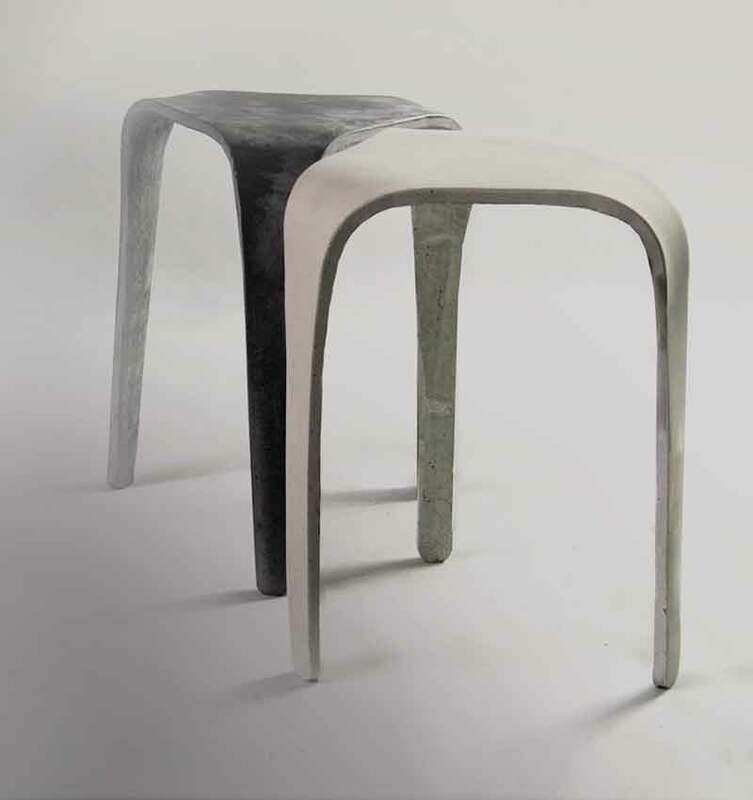 This artistic concrete stool has a more hand made feel than other products and would work well in an arty space.